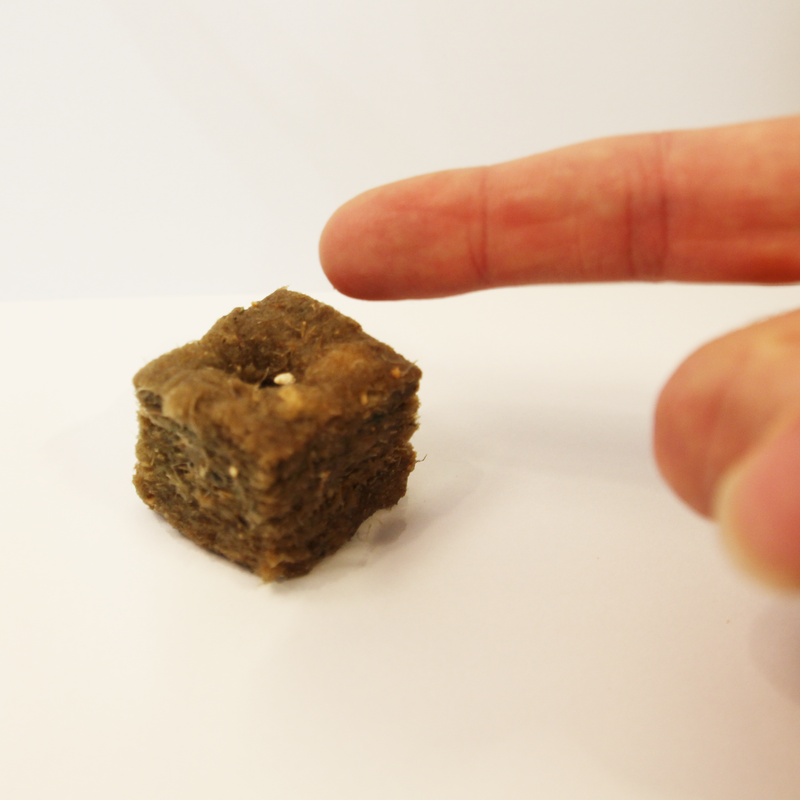 An all natural growing media for starting seeds or transplanting cuttings made from industrial hemp..Terrafibre growing cubes combine two parts of the industrial hemp plant to provide an ideal growing environment.. Bast fibres are high in water holding capacity and provide the strength for roots to attach to. 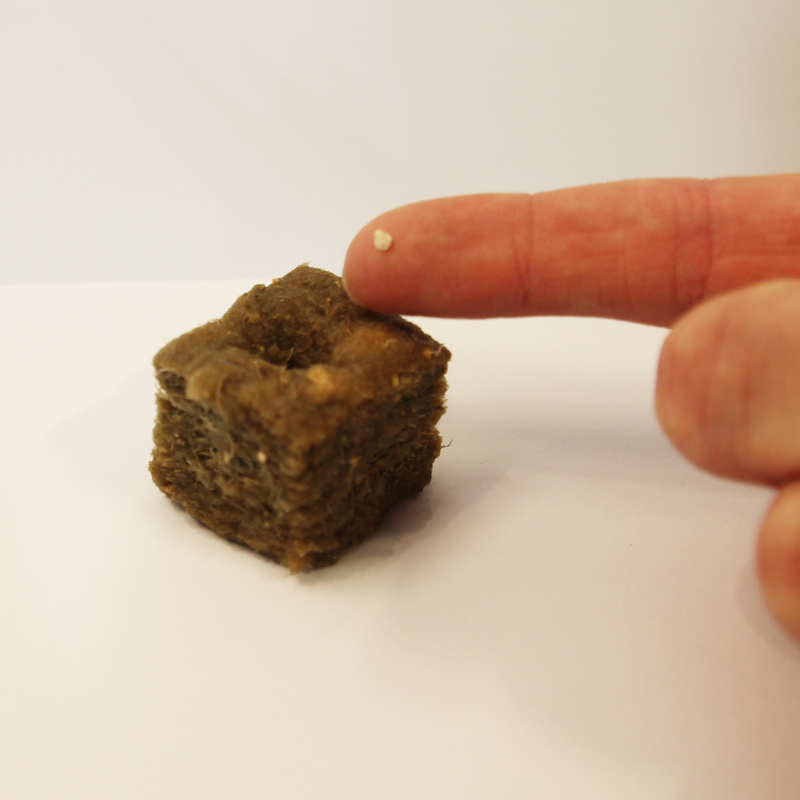 Hurd is the larger “woody” fibres that increase air porosity in the cube..
Terrafibre growing cubes are a sustainable alternative to rockwool, peat moss, or coconut. Hemp is primarily farmed for its seed and the stalk/fibre is traditionally wasted. Through innovative processing and heat sterilization we are able to upcycle the fibres to create a truly sustainable growing media. 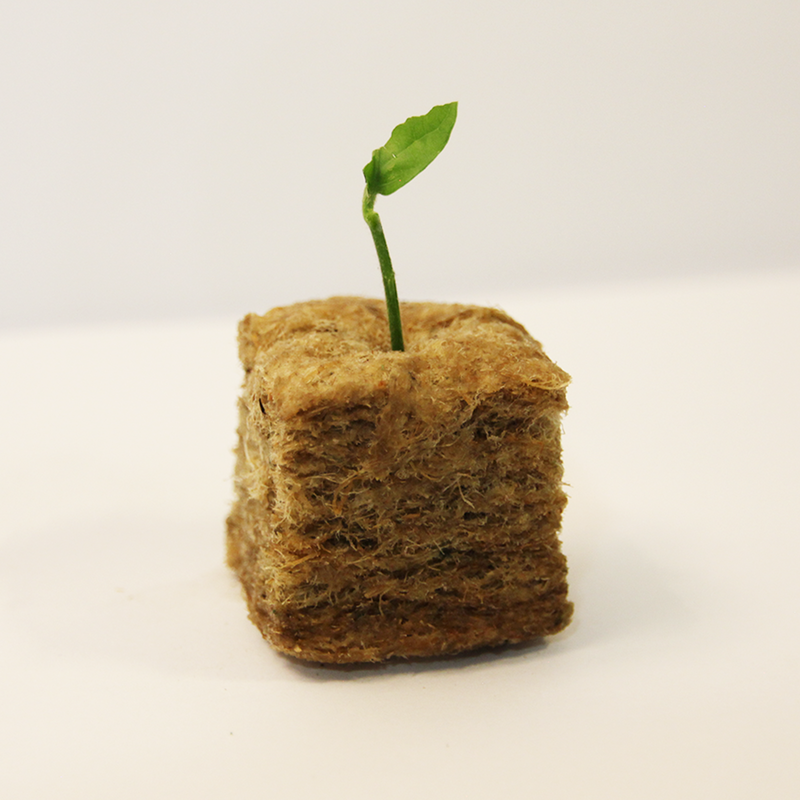 Our growing cubes are completely biodegradable and compostable. Hemp fibre is an incredibly strong fibre so will take 1-2 years to break down completely. Add to garden soil to help break up clay soils and increase water absorption. 1. 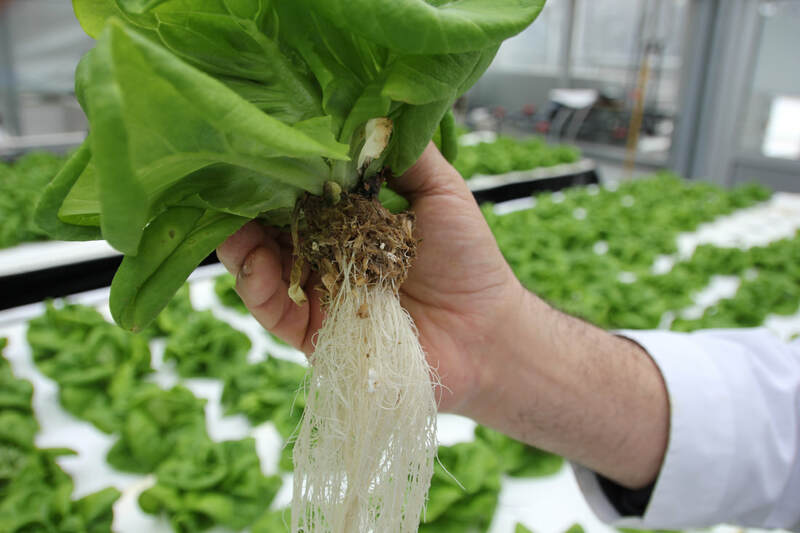 Soak or wash with Ph adjusted water/nutrient solution. 3. ​Place in warm humid environment until the seeds germinate or cuttings take root. 4. Transplant once true leaves are established or roots penetrating cube. BUY YOUR GROWING CUBES NOW! !